Waikiki Condos for Sale - Real Estate in Waikiki | Locations LLC. Waikiki is a Hawaii destination known all over the world, bringing to mind the hustle and bustle of a tourist mecca and the sand and surf of its gorgeous shoreline. Waikiki’s main thoroughfare is Kalakaua Avenue. This avenue houses most of the luxury hotels like the Royal Hawaiian, Sheraton, and the Hyatt and luxury designer brand stores like Chanel, Louis Vuitton, and Prada. Waikiki’s other main thoroughfare, Kuhio Avenue, is better known for its restaurants, cafes and grocers, along with its clubs and lively nightlife. This bustling neighborhood extends from the Ala Wai Canal, which is a channel dug to drain former wetlands, on the west and north, to Diamond Head on the east side of the island of Oahu. Best known for its spectacular beach, Waikiki Beach, Waikiki is a true hotspot for sun, surf, shopping, bar-hopping, partying, and eating. The Waikiki skyline is filled with an abundance of high-rises and resort hotels. But Waikiki is much more than a place to stay and play for a couple of weeks, the neighborhood is home to thousands of Hawaii residents and long-term visitors residing condominiums. Single-family homes are quite rare in this neighborhood full of apartment buildings. The condominiums run the gamut, ranging from affordable to ultra-upscale condominiums. Price-wise, both budget-conscious buyers and no-limit buyers can find condominiums fit for their needs and lifestyles. A typical one-bedroom, one-bathroom condominium in an older building can sell for as little as $100,000; clearly, a home is well-within reach in this neighborhood. On the higher end, a condo in a relatively new development can cost up to millions of dollars, with million-dollar views and amenities to match. While not known for its family-friendliness, Waikiki is home to some young families and couples because its condominiums are affordable and they like the busy atmosphere of the area. Many retirees from all over the world also make Waikiki their permanent home for the same reasons. 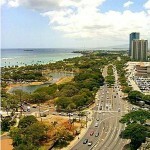 You’ll find a great diversity of socio-economic classes, cultures, and languages in the Waikiki neighborhood. Waikiki also has plenty of exciting activities, sights, and parks available for exploring, including Kapiolani Park, the Fort de Russy Military Reservation, the Kahanamoku Lagoon, Kuhio Beach Park, Waikiki Beach Park, and the Ala Wai Harbor. The surf at Waikiki is known for its long rolling break, making it ideal for long boarding, tandem surfing and beginner surfing. 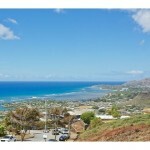 If you are looking for a condominium in a lively area, look no further than Waikiki for real estate.